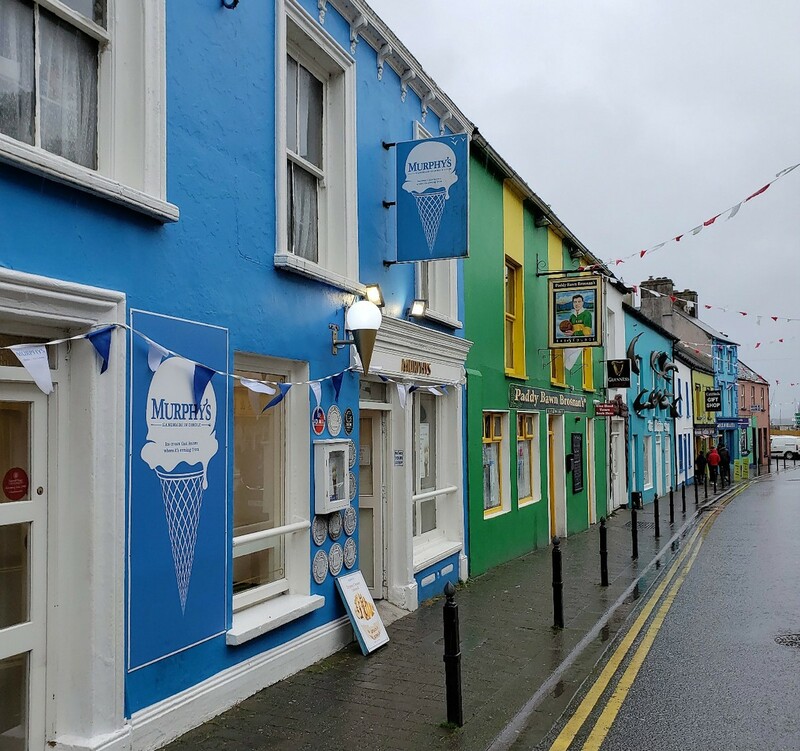 If you’re planning a trip to Ireland, chances are you've heard about Dingle. 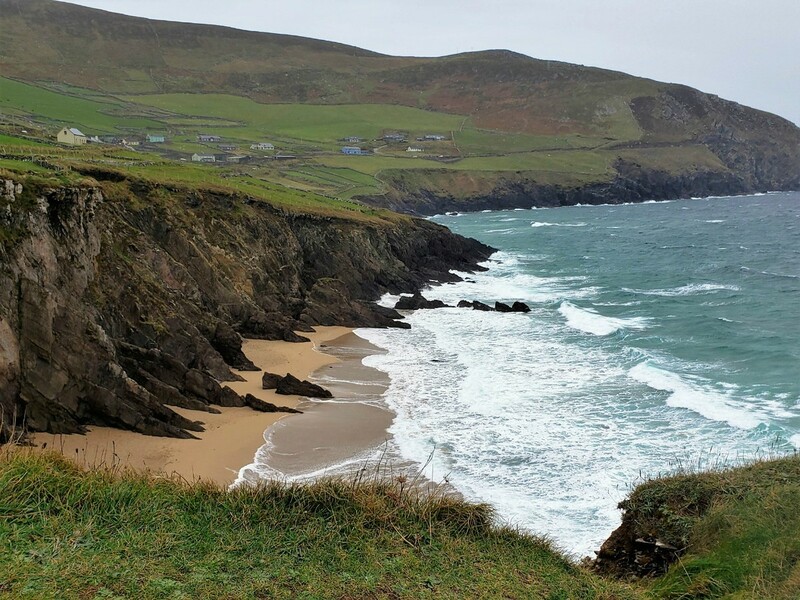 You may be wondering if visiting the Dingle Peninsula is a must-see on your itinerary. The answer is absolutely… YES! 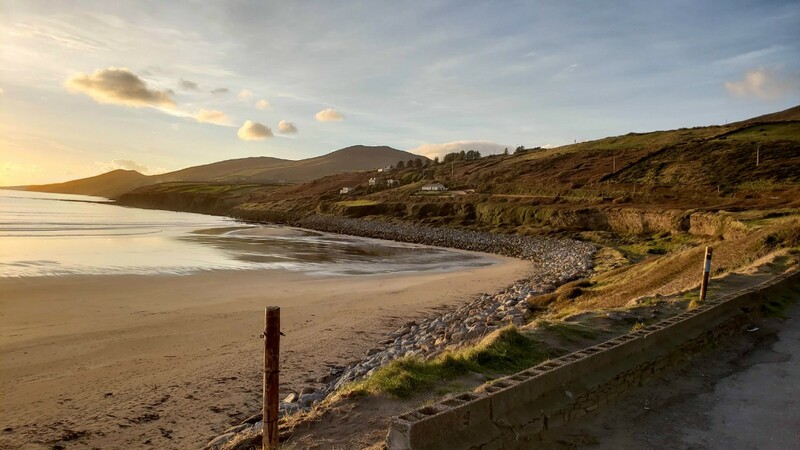 Don’t hesitate to add this charming region to your Ireland itinerary. We just returned home from a week long trip to Ireland that included two days in Dublin and five days in the countryside. 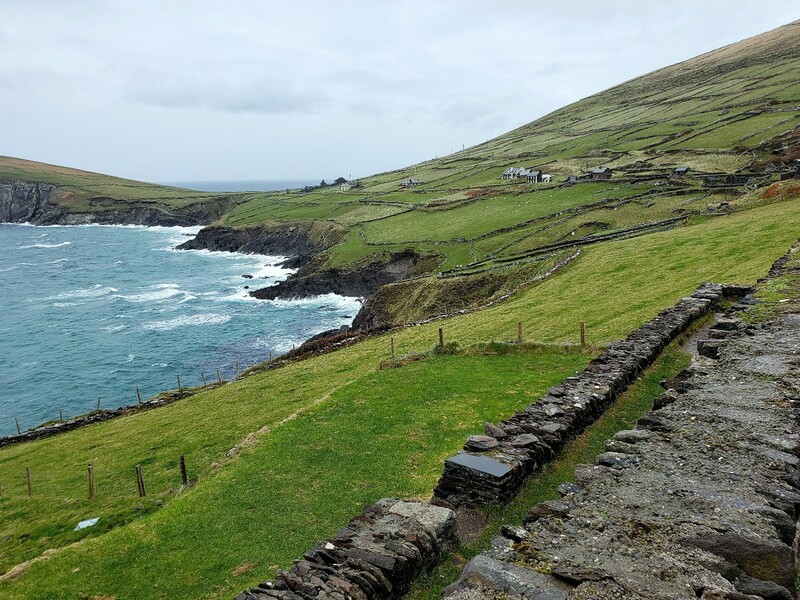 One day and night was spent exploring the beautiful Dingle Peninsula, and it may have just been our favorite spot. Keep reading to find out our suggestions on what to do, where to eat and where to stay. 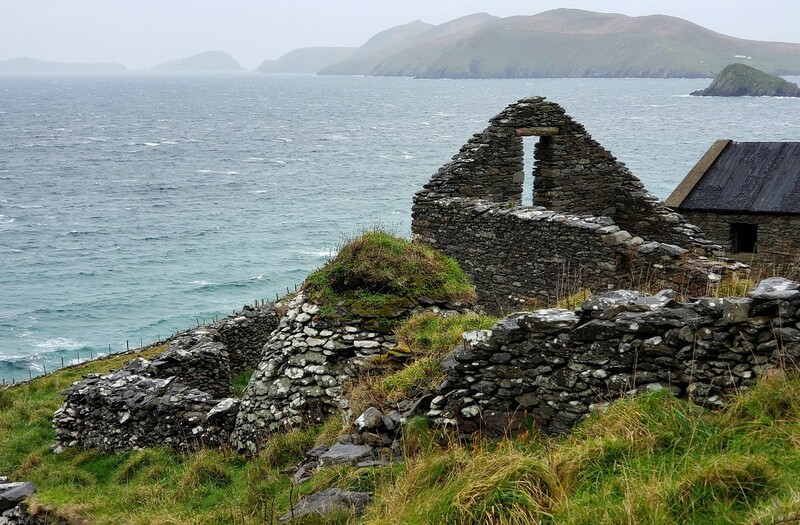 The Dingle Peninsula is located on the southwest coast of Ireland. It is about a 4.5-hour drive from Dublin and about 2.5 hours from Shannon. The peninsula itself is covered with rolling green hills, dotted with old stone structures and home to about 500,000 sheep. There is some bus service through the area, but Dingle is best enjoyed by car. So plan on renting a car and exploring on your own. 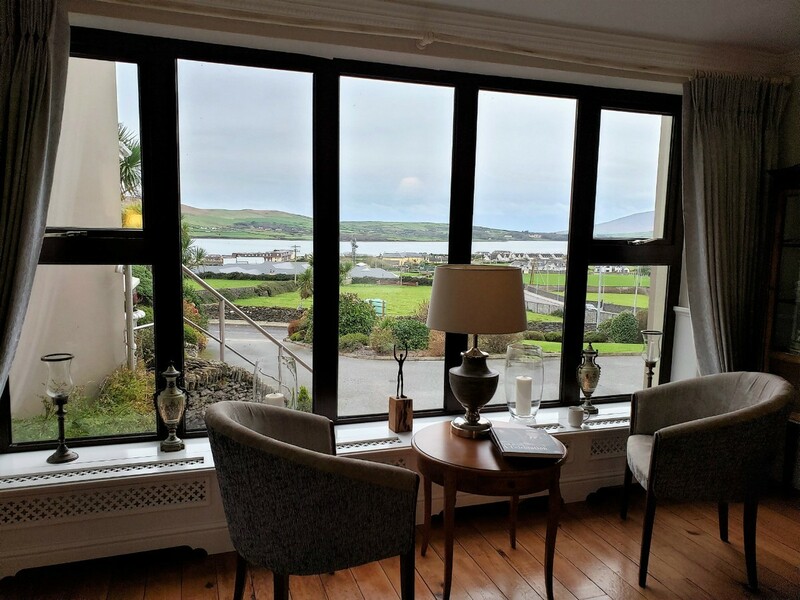 With just 1,500 residents and a famous dolphin by the name of Fungi, every trip to the Dingle Peninsula should begin in Dingle. You’ll love the brightly colored buildings that got their start in the 1970’s when the residents of Dingle decided to go all out to win the coveted “Tidy Town” award. Take some time to walk around and explore the shops. Clothing, traditional Irish souvenirs, , and a few grocery retailers line the narrow streets. 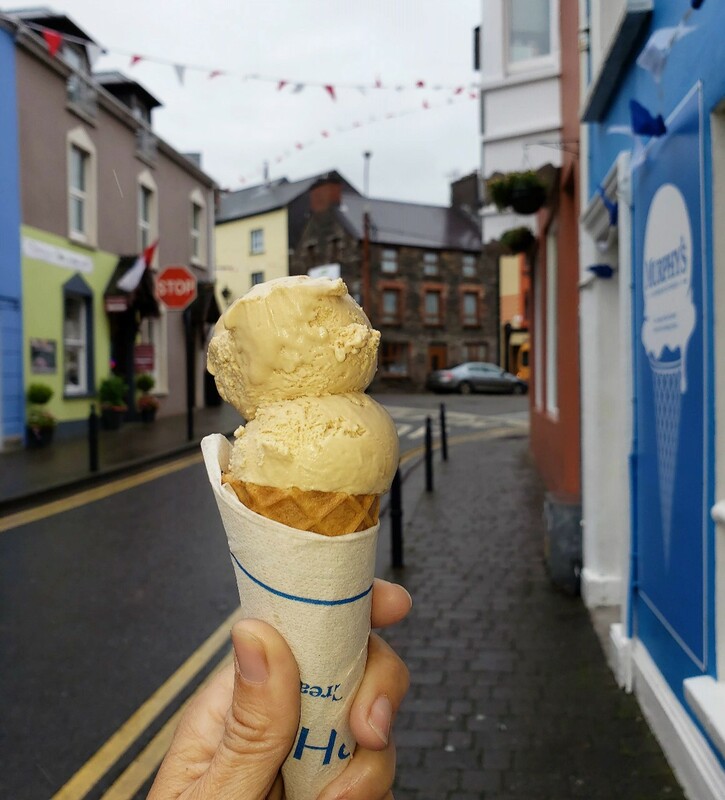 Don’t miss the opportunity to enjoy some of the best ice cream anywhere (regardless of the weather). It was a little drizzly outside, but we didn’t care. Handmade in Dingle, this stuff is the real deal. Made from the milk of local cows, they even harvest their sea salt from the Dingle sea water and distill Dingle rain to make their sorbets. With flavors like Sticky Toffee Pudding and Caramelized Brown Bread, it was hard to choose, but I went with a combo of Irish Coffee and Dingle Sea Salt and wasn’t disappointed. Can you tell that I like ice cream? 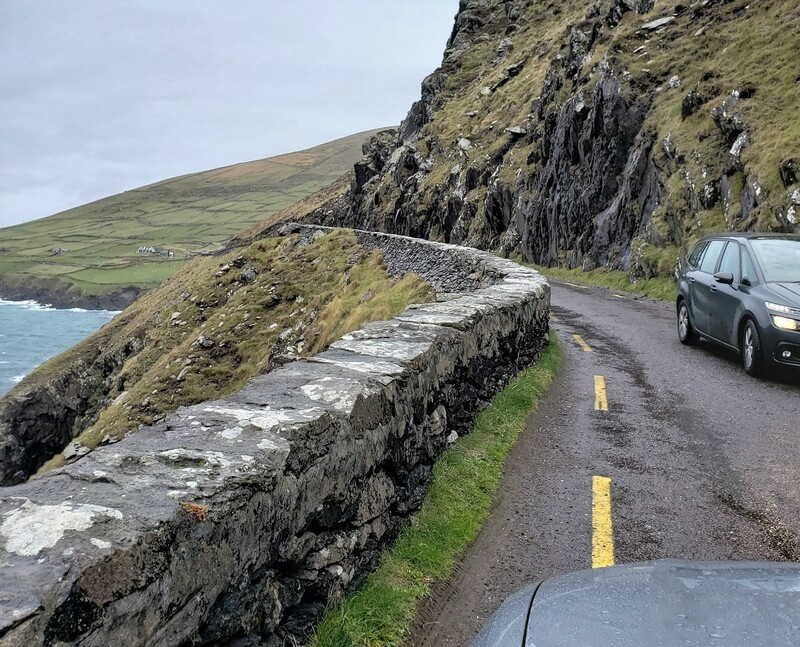 No trip to Dingle is complete without driving the 30-mile loop (also called the Slea Head Drive). This route can take a couple of hours or all day depending on how many stops you make along the way. We chose to go in a clock-wise direction leaving from the town of Dingle so that the photographer (that’s me) would be on the side facing the water. We made a few stops to visit sheep farms, beehive huts, ancient sites, and pottery shops. One of the pottery shops we stopped at had a cute little café where we enjoyed tea and scones. My favorite part of driving the loop, however, was taking in the incredible scenery. Be aware; there are a few spots along the path where the road gets so narrow that only one car can pass at a time. Check this link for more ideas on what to see along the 30-mile loop. Plan on seafood for dinner and Out of the Blue is the best spot! 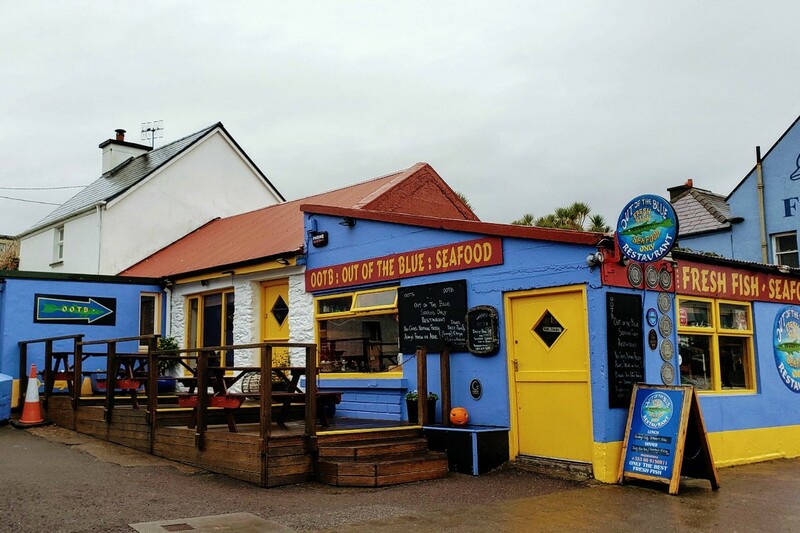 Located right on the waterfront in Dingle, this small 12 table restaurant doesn’t even have a set menu. Whatever comes in from the fishing boats each morning is what you'll find on the menu. 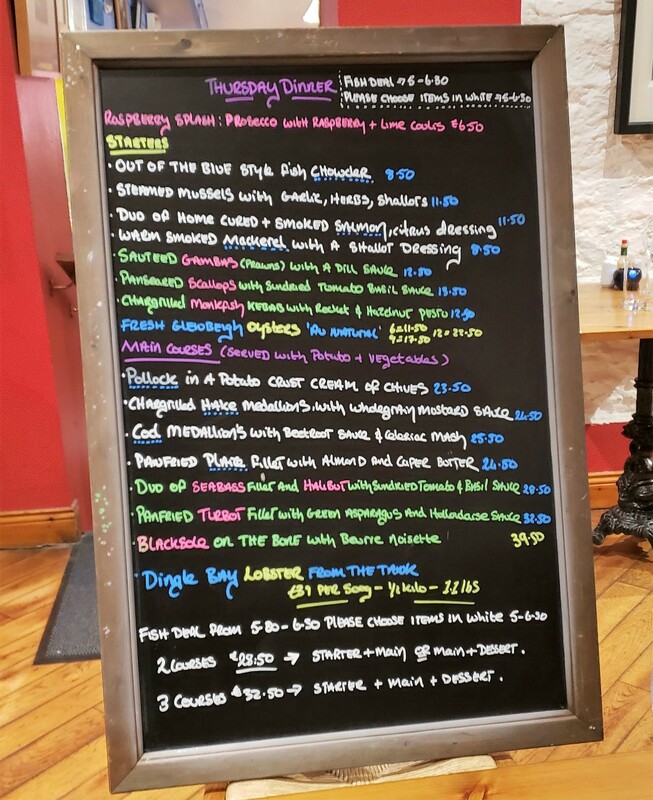 A chalkboard listing the daily offerings is brought to each table. Reservations are a must! We got the last reservation of the night, and that was a weekday in November. If you are traveling in peak season or on the weekend, plan on reserving in advance. After dinner don't miss the opportunity to hear live authentic Irish music in one of the pubs. Most musicians don’t arrive until after 9:00 pm. Ask around and find out which pubs will feature live music on the night you're in town. 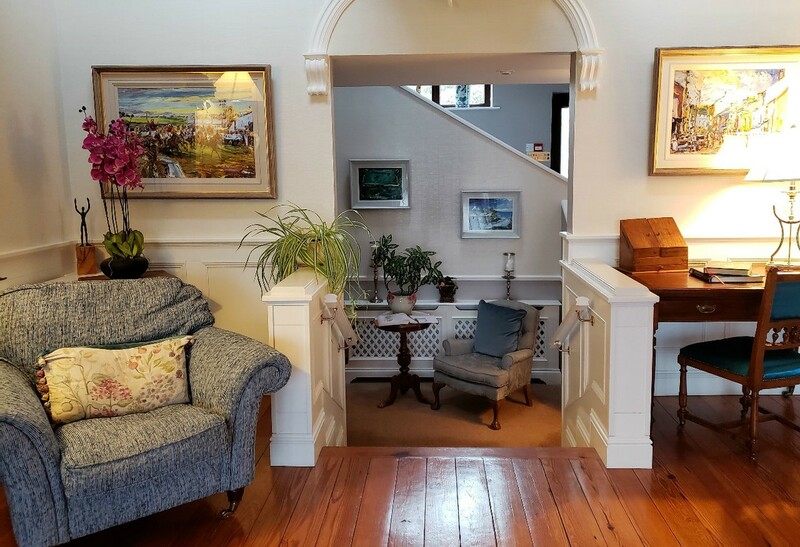 We chose the Greenmount House Bed and Breakfast and were so glad we did. It had the most exquisite furnishings, most comfortable beds and best breakfast from anywhere we stayed in Ireland. Of course, the owner was incredibly friendly and fun to chat with (but that was true for every place we stayed in Ireland). 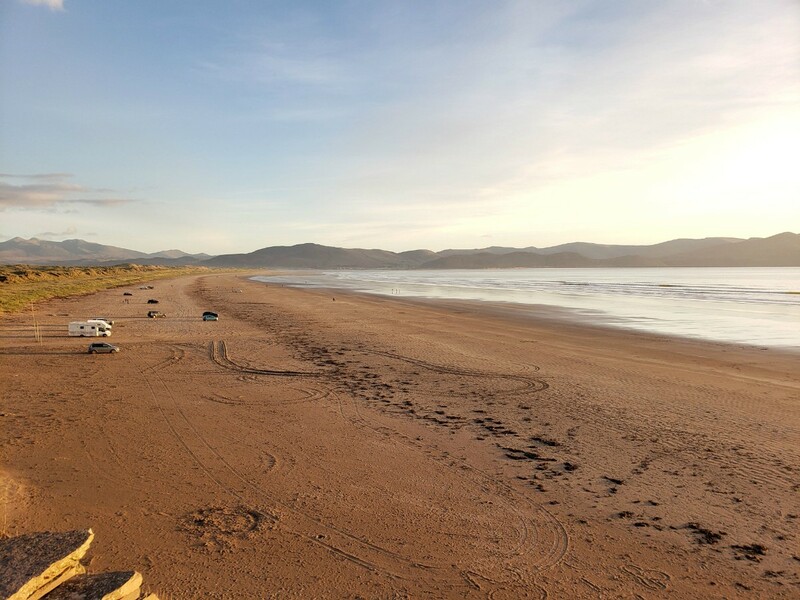 If you have more time to explore the Dingle Peninsula, head over to Inch Beach for an unlikely Ireland experience. We stopped here on our way to Dingle town from Killarney and spent a few minutes taking in the incredible view. It’s a beautiful spot! I was surprised to see surfers! We live in San Diego and are quite accustomed to seeing surfers but didn’t expect to find any in Ireland. You can even drive on the beach here. Drive the Connor Pass. This high roadway passage with a narrow and windy path connects both sides of the peninsula and provides some lovely views. Be mindful of the weather as it is not advisable to drive in dense fog. So there’s our ‘Day in Dingle’ – What did we miss? 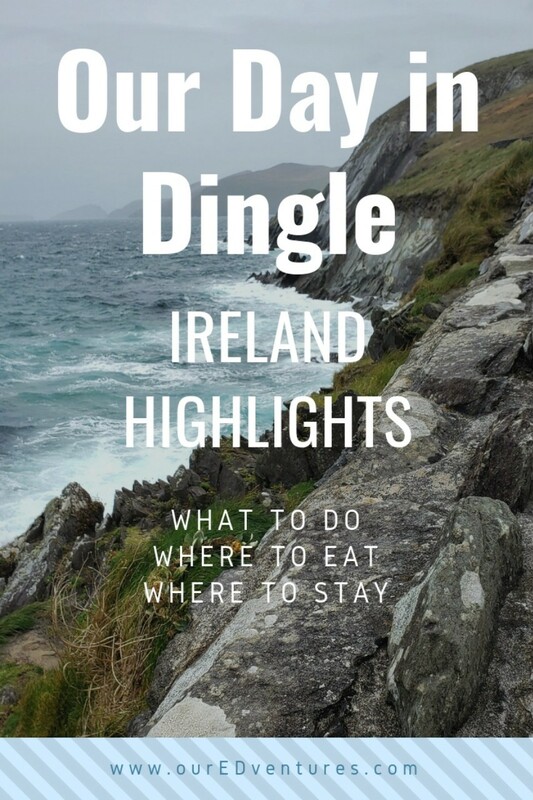 Have you been to the Dingle Peninsula and can you add a tip? Please comment in the space below.